HMD Global GM for Australia and New Zealand confirmed that Nokia 3, Nokia 5 and Nokia 6 would get an Android Oreo update. Although this is not the first time we hear about the upgrade, the official said the company would push it before the end of the year. The three mid-range Nokia phones came with Android 7.1.1 Nougat out of the box and are receiving monthly software and security updates. There is a slight modification of the UI, but the OS is mostly the stock version of Android. 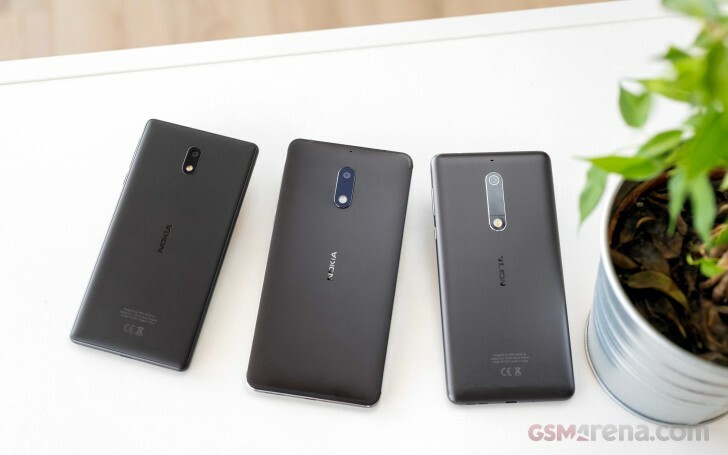 Nokia 8 will also receive Android Oreo, as Juho Sarvikas, Chief Production Officer at HMD Global, confirmed the update on Twitter and even published some pictures along. Now we just play the waiting game to see when will the Finnish company push the actual upgrade. Was the Nokia 6 Arte Black canceled? I do not doubt that this will happen for Nokia 8, Nokia 7, Nokia 6 and Nokia 5. But for the Nokia 3 and Nokia 2, look, it's hard to believe! There is no official statement from hmdglobal. re. oreo. If they were truly committed they would have made one. With out it how can they possibly be believed ? They are just like all the other vendors, all talk, rumours and hearsay. You really think somebody will read all the ... you wrote? I have way more better things to do then reading everyone's story about how they know everything and better then others, while they know pretty much...nothing;).